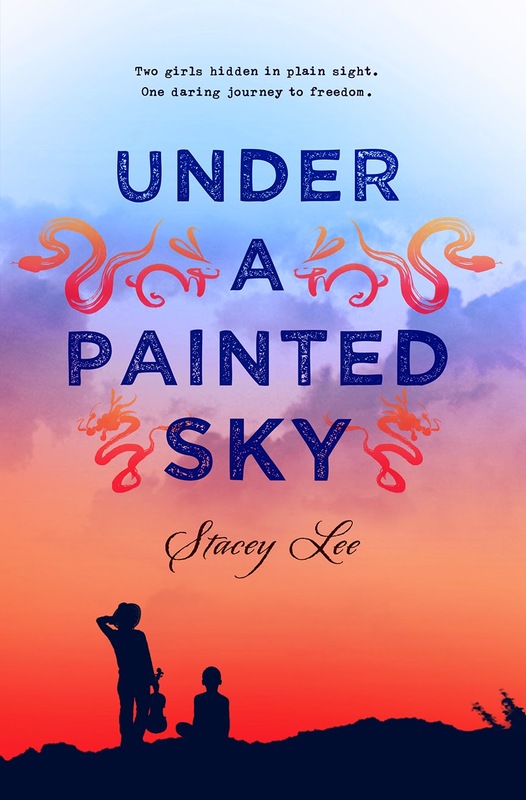 today I’m waiting on UNDER A PAINTED SKY by Stacey Lee (expected publication: 17th March 2015 by Putnam Juvenile). It’s a YA Historical novel set on the Oregon Trail in 1849. I’ve ‘known’ Stacey online for a while, thanks to a pitch contest I entered last year. Her debut sounds amazing and I can’t wait to read it! Missouri, 1849: Samantha dreams of moving back to New York to be a professional musician—not an easy thing if you’re a girl, and harder still if you’re Chinese. But a tragic accident dashes any hopes of fulfilling her dream, and instead, leaves her fearing for her life. With the help of a runaway slave named Annamae, Samantha flees town for the unknown frontier. But life on the Oregon Trail is unsafe for two girls, so they disguise themselves as Sammy and Andy, two boys headed for the California gold rush. Sammy and Andy forge a powerful bond as they each search for a link to their past, and struggle to avoid any unwanted attention. But when they cross paths with a band of cowboys, the light-hearted troupe turn out to be unexpected allies. With the law closing in on them and new setbacks coming each day, the girls quickly learn that there are not many places to hide on the open trail. This beautifully written debut is an exciting adventure and heart-wrenching survival tale. But above all else, it’s a story about perseverance and trust that will restore your faith in the power of friendship. “Waiting On Wednesday” is a weekly event, hosted by book blogger Breaking The Spine, that spotlights upcoming releases we’re eagerly anticipating. Have you heard about this book? Is it on your TBR list? What are you waiting on this week? This entry was posted in Waiting On Wednesday and tagged 2015 release, EM Castellan, Oregon Trail, Stacey Lee, Under a painted sky, Waiting On Wednesday, YA Books, YA Historical, Young Adult literature. Maybe it’s just me, but writers of historicals seem to be branching out a lot lately with the time periods they choose. Looks very cool!